Boiled Potato - 1 no. Add all the ingredients with the fish and mix it properly. Make small round shape tikkis and shallow fry it in a non-stick pan. Cook it in medium flame. Flip the tikkis and fry until the both sides turn brownish in colour. Remove it from flame and keep aside. Boil the dal in pressure cooker or microwave with a little pinch of haldi and salt. 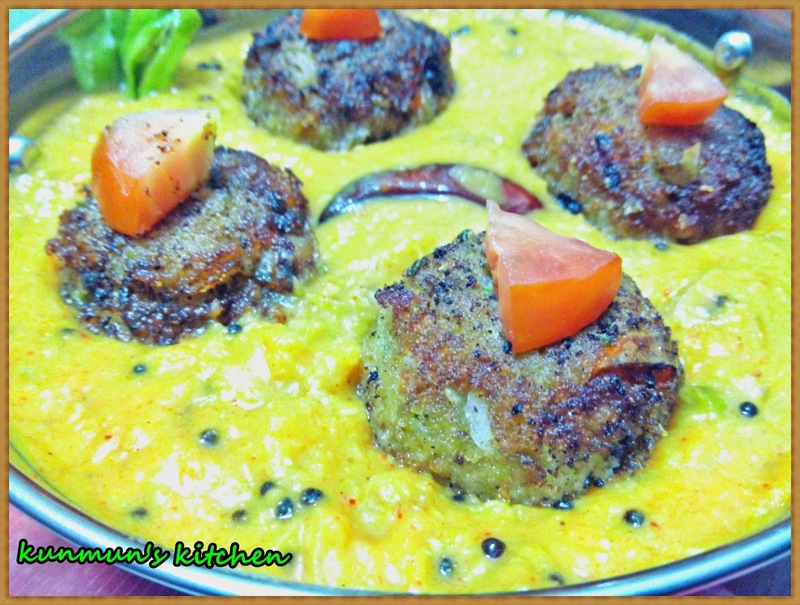 Mash the dal with a masher, add the beaten yogurt to the dal and mix it well. Add 2 tsp Sambar power and mix it. For Tempeing, heat oil in a frying pan. Add dry red chillies, Mustard seeds, green chilly, pinch of Hing and let it splutter for a while. Then pour the dal and let it boil for 5 mins. Switch off the flame. 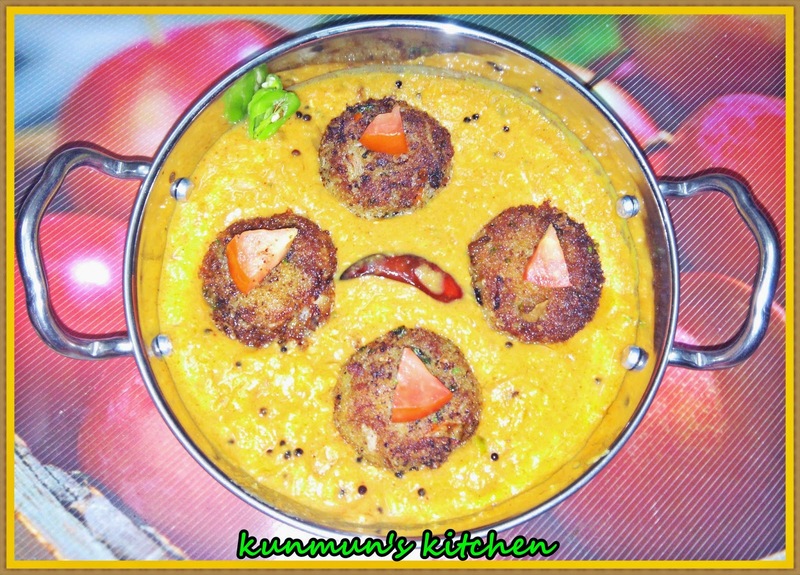 Transfer the spicy dal into serving plate and put the tikkis on it and Serve hot with roti/chapati/naan.. Enjoy it !! !